It is a small room where anywhere between 70-100 people are packed in. Some are sitting on chairs, others on the floor and still others are standing on the edge. Everyone is straining his ears and trying hard to listen to a frail man, dressed simply in a blazer. His voice is soft but carries the strength of steel. There is nothing really remarkable about him, or maybe there is. If he had been an actor, it would not have taken a minute for the casting director to make him a part of a film around the freedom struggle. He is bald, fragile and has a posture that reminds one of the Mahatma. It of course helps that among the many descriptions that are attached to Harsh Mander’s name, Gandhian is one. Mander along with some of his like minded colleagues, including journalist and film-maker Natasha Badhwar, his daughter and human rights lawyer Suroor and others are addressing people and talking about the Karwan e Mohabbat, an initiative where they travelled to eight states to meet the families hit by hate violence including lynchings and riots. Mander describes incident after incident where people of the majority community behave as if nothing has happened or insist that the ones who had been killed had it coming. “After these incidents, it took a long time to register FIRs, if at all that happened. When it did, there were pages describing what the cow or calf looked like and a very small section on the actual killing of a human being,” he says. Another stark example that he recalls is that of Shambhu Regar who killed a man and blamed it on ‘love jihad’. “When we visited the the family they felt that he had ruined the life of the boy who had filmed the incident as he was sent away to a juvenile home. But they insisted that Regar’s anger was justified. When we dug further we found three incidents of inter community relationships dating back to 13, nine and seven years! A completely irrational prejudice was normalised and accepted. A Hindi proverb, Jaage ko kaise jagaen, sums it” he says but there seems to be no trace of bitterness or anger in the words. It is this attitude and the way hatred seems to have permeated the social fabric which makes Mander apprehensive. “I’m a very optimistic person who believes in the essential goodness of human beings. I have worked during riots and there were always stories of people saving each other. But now our capacity for compassion has frozen,” says Mander, who worked in the Indian Administrative Service, serving in the predominantly tribal areas of Madhya Pradesh and Chhattisgarh for almost two decades before resigning after the Gujarat riots of 2002. Mander, who also works on issues like hunger and homelessness, believes that one cannot create this degree of hatred. “We haven’t dealt with the demons of Partition the way Germans did with the Holocaust. We fail to acknowledge that people of both communities did an equal amount of killing. We cannot be indifferent to history. We haven’t reflected on what makes us kill our neighbours and friends,” says the author, who traces his ancestors to Rawalpindi in present day Pakistan from where his parents migrated. However, he also sees it as a part of the larger global picture as hatred seems to be erupting in USA or even France, Germany and Scandinavian countries where parties that believe in majoritarianism have occupied a large part of the political discourse. “In 19th century US, people were killed and bodies mutilated. We find a parallel in the Indian lynchings where they record it on camera and share it. While the political discourse has created an enabling environment, we as a society need to reflect within our hearts and souls because we elected them. Pehle hume apne se ladna hog aur phir apno se ladna hoga,” says Mander. “We have to recognise that first they partitioned the land and now they are partitioning hearts which is more difficult to fight as they are in our most intimate spaces. 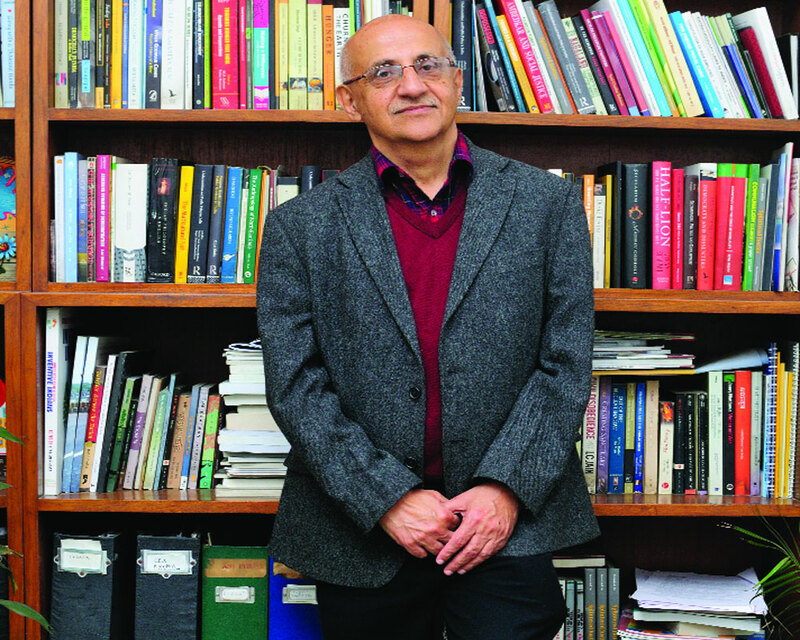 They are there in the WhatsApp groups where we can see incredible levels of bigotry among family and friends,” says the 64-year-old activist and writer who has just come out with his new book, Partition of the Heart: Unmaking of the Idea of India. He believes that much of the crisis has to do with the economy’s state. “There is a deeper crisis and churning under way. Younger people have nothing to look forward to. And then we are getting leaders who blame the problems on minorities,” he analyses, making a chilling assessment with grimaces. The spread of hatred is often blamed on the working of the social media but Mander sees it only as a vehicle which is utilised to spread disharmony. “In the long history of communal violence, rumours have been essential in spreading hatred. It happened in Bhagalpur where a rumour was spread that Hindus had been massacred in a hostel and in retaliation Muslims were attacked and killed in large numbers. But the rumour could never be traced to anyone. It also happened recently in Muzaffarnagar but the rumour could be traced back to a politician who has, despite or maybe because of it, prospered,” he says. An attempt to curb the social media and bring it under government control, he feels, is just an attempt to justify snooping. Mander along with Farah Naqvi was instrumental in drafting a Communal Violence Bill which is yet to see the light of day. But he is heartened by a law passed by Manipur which talks about punishment in case of dereliction of duty of a public servant which is punishable by up to three years of jail. “It also fixes the responsibility not only on the person in the field but also under whose command the incident happened. Another important thing is that there is no need for a state sanction to act against a public official, which was required earlier. The third important thing is to give a mandatory compensation to the victims,” he says. He does believe that often there is dereliction of duty on the part of the police force but it is a culmination of past events. “When we say police is communal, the caveat is that if junior ranks are led to do the right thing, they follow you with conviction. It is more a crisis of leadership and not the rank and file,” says Mander who is founding member of the National Campaign for the People’s Right to Information. One can’t help but bring up his 22 transfers during the course of his 17 years career in the IAS as he often did not do the bidding of the political masters but preferred to abide by the Constitution. “I still feel that it is a small price to pay. But then, if there was no price to pay for doing the right thing, everyone will do it. If you do not act, you are party to the hate crime. It should be on your conscience,” he says and once again the steel in his soft voice is almost palpable. He does agree that resignation from the Civil Services was an extreme step but justified it by his personal belief. “I could not work as a public servant under those who did not value the Constitution. There are many battles that one has to fight but this one, I believe, is for India’s soul and could only be done without being encumbered by any kind of strictures. So it had to be fought from outside,” says Mander, who answering the call by Jai Prakash Narain, dropped Singh from his name so that it did not reflect his caste or religion even though it proved to be a complicated process, including publishing the change in a gazette. He also convinced his three other batchmates to follow suit. “I further confounded the confusion by naming my daughter Suroor, an Arabic word,” he laughs. One thing that he has documented in the book is how starkly different educated Americans and Indians are in behaviour. “White Americans with benefit of education are against hate but in India it is exactly the reverse. I found that the more educated are more communal, casteist and superstitious. Poor people show far greater acceptance of others. The reason is that education is preparing us for a competitive market but not be caring and compassionate or develop a rational scientific temperament. We’ve been taught to think about ourselves only,” he says. Mander also works on issues like hunger and homelessness which he sees as a part of one whole. “I work directly with people and policy makers, write and tell stories, teach — and I don’t see any of it separately,” says Mander who is also a Special Commissioner to the Supreme Court of India in the Right to Food case. Clearly, there are many a battles that await him.